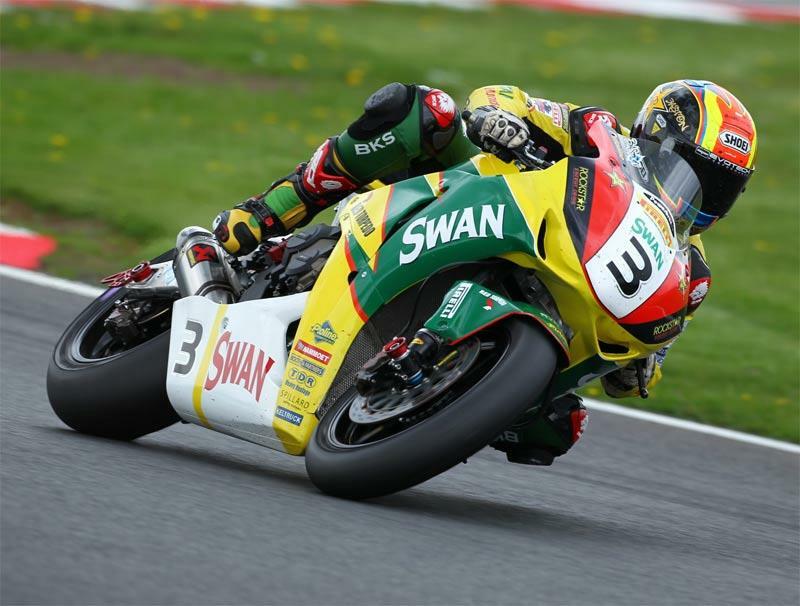 Swan Honda’s Stuart Easton set pace at Oulton Park today, leading both free practice sessions in preparation for Bank Holiday Monday’s the third round of the MCE Insurance British Superbike Championship. Easton is now back to full fitness after his pre-season testing crash that left him with a badly lacerated leg and he said: “"We’ve done a lot of experimenting today and have made some really radical changes to find more rear grip and help with steering through the faster corners. Easton is the lone Swan Honda rider this weekend, the team unable to find a suitable second rider to stand in for the injured James Ellison who is recovering from the fracture femur he sustained in practice at Thruxton two weeks ago. Michael Rutter continued his good form to go second quickest on the Riders Ducati in the afternoon session but team-mate Martin Jessopp missed most of the session after a gearbox problem stranded his v-twin out of the course. Tommy Hill set third quickest time on the Worx Suzuki but crashed at the high-speed Clay Hill. He was unhurt even though the GSX-R1000 landed on top of him as he slid to a halt up the hill! Gary Mason was fourth quickest MSS Kawasaki – happy with the base setting of the ZX-10 after Thruxton. Stand-in teammate Chris Walker (in for the injured Simon Andrews) was eighth in the afternoon session. Josh Brookes was fifth quickest but HM Plant Honda team-mate Ryuichi Kiyonari slipped from fifth in the morning to 12th in the afternoon.